Johnny Manziel won't be suspended, but Aldon Smith will. NFL Commissioner Roger Goodell holds a press conference, Oct. 8, 2014, in New York City. 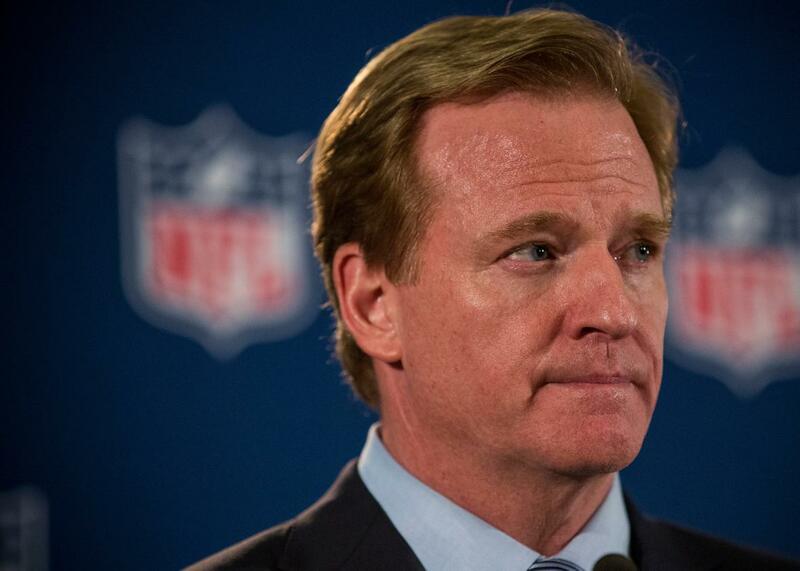 Roger Goodell’s roulette wheel of justice struck again on Tuesday. The NFL announced its decision not to punish Cleveland Browns quarterback Johnny Manziel for his role in an alleged domestic violence incident in Akron, Ohio, last month. At the same time, Oakland Raiders linebacker Aldon Smith was reportedly suspended one year after he pleaded not guilty to hit and run, drunken driving, and vandalism charges stemming from an Aug. 6 incident. League sources told ESPN that Smith, who also served a nine-game suspension last year for violating the league’s substance abuse and personal conduct polices, would face the year suspension. Manziel, who was just named the Browns’ starting quarterback for the rest of the season, will face no sanction after video of the alleged incident surfaced in which Manziel’s girlfriend Colleen Crowley is heard to say she feared for her life during a traffic stop. Crowley had told officers that Manziel had hurt her several times and that she had thrown his wallet out the window and she had an abrasion on her wrist at the time of the stop, but officers said they were unable to determine the primary aggressor and so no charges were filed. The problem with decisions like Tuesday’s is that we may never know why they were made and to what extent they were justified (if you accept that such league conduct discipline is justified at all) because of the secretive, and often arbitrary, nature of the proceedings. Update, Wednesday, 6:30 a.m.: Smith was actually given the year suspension for another substance abuse violation, which is obviously a less arbitrary decision than any personal conduct punishment.